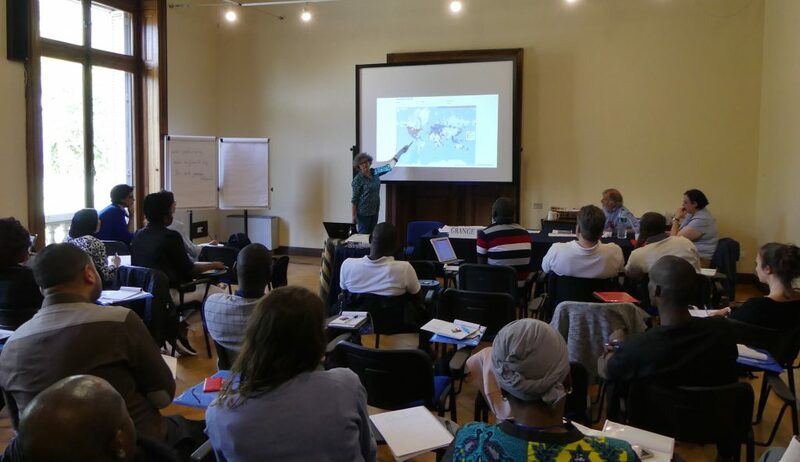 GDP Researcher Mariette Grange gave a workshop to government representatives, academics, representatives of international and non-governmental organisations, and representatives of national human rights institutions as part of the “Protecting the Rights of Migrants: International Norms Facing Contemporary Challenges” course in Sanremo, Italy. Organised by the International Institute of Humanitarian Law (IIHL) in partnership with the Organisation Internationale de la Francaphonie, the course (now in its second year) is aimed at helping practitioners to deepen their theoretical knowledge of the international standards protecting migrants and to explore protection measures. Exploring how one can put international conventions and principles of customary law into practice, Ms. Grange’s workshop gave practitioners the opportunity to consider the most effective actions that can be taken to protect detained migrants and asylum seekers. More information about the course is available here.